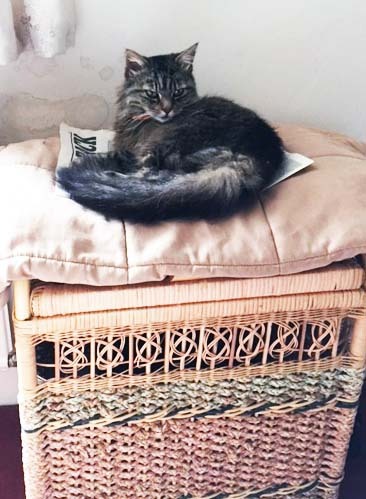 "A couple of years ago, I noticed several cats awaiting re-homing as I dropped my cat Theo off for a few days in the Cattery at Todds Green, and I mentioned this to my friend Mary in passing. 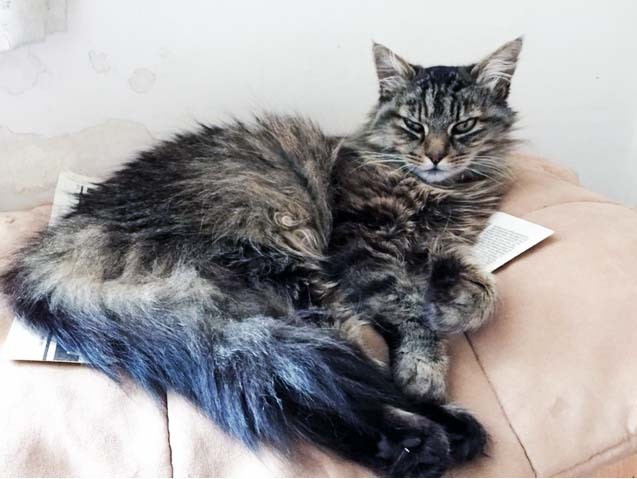 When I went to pick my cat up, Mary came with me and fell hook, line and sinker for a little, long haired tabby cat looking for a new home. A few days later, the beginning of a friendship began when Mary named the cat Bear-Bear and coaxed her into a life of warmth and love. Bear-Bear took quite a while to train Mary into her preferred feeding times, exactly where she wanted to sleep on the bed and her most popular resting place in the house which is on an antique table fairly close to a radiator. 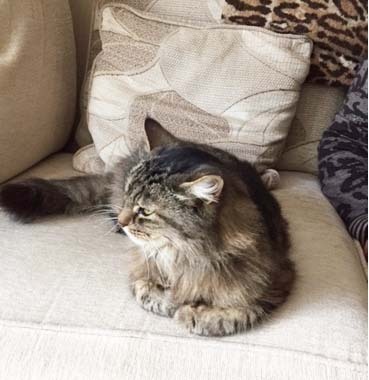 The two live in complete harmony as Mary adapted quickly to Bear-Bear's requirements and most evenings you will find them sitting together on the sofa with Mary brushing Bear-Bear whilst telling her what a lovely cat she is. A match made in heaven."